Winter is the perfect time for taking Elderberry preventatively to stay healthy and enjoy being social with less fear of catching a cold or the flu. Sambucus nigra, otherwise known as Black Elderberry, is a large deciduous shrub with dark purple berries that grows in many parts of the world, including the mountains and landscapes of southern Oregon. Elderberry preparations have historically been used by many cultures for respiratory conditions such as colds and flus. Modern research has recently confirmed Elderberry’s antiviral properties. The berries ripen in the early fall and the medicine is made from the fresh, dried or frozen berries. Dried elderberries and pre-made elderberry extracts can also be purchased at natural food stores. Elderberry medicine is useful for cold and flu prevention as well as treatment. The flowers bloom in springtime and have their medicinal uses, too. Properly made elderberry extracts are safe for children, adults and elders (pun intended). The ripe berries and flowers are the only edible parts of the elderberry plant. The rest of the plant is poisonous, including the seeds. Greek physician Hippocrates touted the benefits of elderberry way back in 300 BC and this medicine has stood the test of time ever since. Elder flowers have most commonly been used in alleviating allergic and pulmonary diseases. Other documented uses of elderflowers are for laxative, anti-ulcer, anti-asthma, bronchitis, sore throat and arthritis relief. Elderberry juice was used in ancient times to treat sciatica, headache, dental pain, heart pain and nerve pain. Elderberry syrups and tinctures are traditionally used for viral infections and fever reduction and I have experienced the healing magic of elderberry syrup at my own clinic with many pediatric patients. Kids love the taste of elderberry syrup. It’s the perfect preventative medicine for staying healthy while school is in session. Taking 1/4 teaspoon every morning before school is an easy rhythm to get into for most families. For treatment of acute colds, an effective dose is 1 teaspoon three times daily for kids and 2 teaspoons three times daily for adults. The de-seeded berries are high in vitamin A and its precursor beta-carotene, vitamin C, bioflavonoids, iron, and potassium. Bioflavonoids are present in all dark colored fruits and veggies, including elderberries. These dark colored antioxidants can prevent or slow damage to cells caused by free radicals, which are unstable molecules that the body produces as a reaction to environmental, immune and other stressors. Free radicals cause inflammation, speed up the aging process, disrupt all of our body systems and increase cancer risk. Elderberry medicine as a daily winter tonic is protective in this regard, as well. Nowadays you can find elderberry extracts, supplements, pies, ice creams, jellies, juices, beverages, beers, wines, kombucha and fruit bars in most grocery stores. Black elderberry cultivation and harvesting is becoming a high dollar industry because of the many uses in food, herbal medicine and nutritional supplements. In 2010, Sambucus nigra was the most harvested medicinal plant intended for export trade and production in two Eastern European countries. Elderberry was ranked on the Top 20 best-selling herbal dietary supplements in the USA in 2011–2014, with sales increasing every year. Thankfully, it is not endangered and is locally abundant. Elderberry supplements made with Sambucol, a standardized black elderberry extract with solid research behind it, were so popular last year that many stores and online retailers were sold out for months. Now is the time to make your own or stock up on premade products for cold and flu season. Homemade elderberry syrup recipes are easy to find, fun to make and taste delicious. I encourage you and your family to try it and see how much of a difference it can make in strengthening your immunity this winter. I wish you a very happy and healthy 2019! 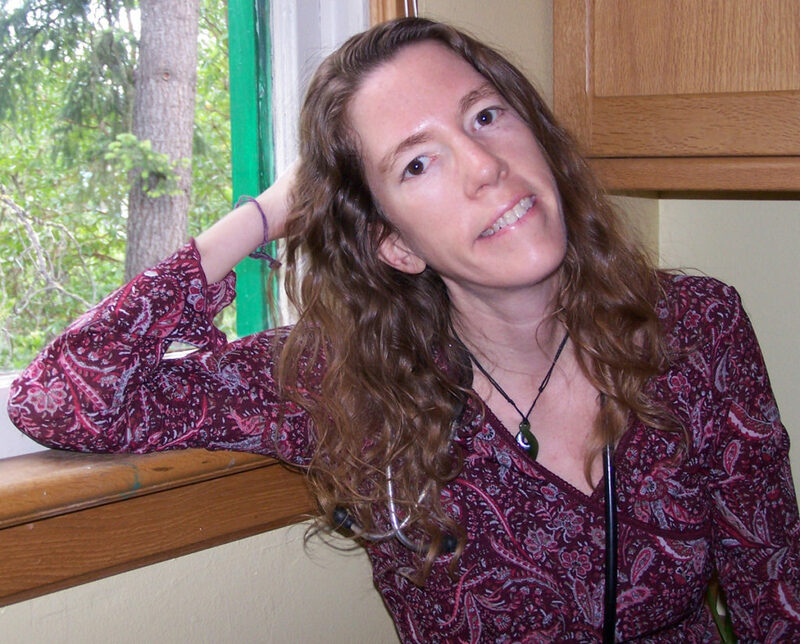 Dr. Margaret Philhower is a naturopathic doctor with a naturopathic family practice in Takilma next door to The Dome School and at The Bear Creek Naturopathic Medical Clinic located at 2612 E. Barnett Rd. in Medford. You can schedule an appointment in Takilma by calling 541-415-1549 or Medford by calling 541-770-5563 or visit her website at www.drmargaret.org. Do you have a recipe that you suggest or a specific brand of elderberry syrup you recommend? I like this recipe, which gives you a few sweetener choices. Honey is ideal, but not to be given to babies under 1 year old. It’s crucial that the elderberries are from a reputable source, that all excess twigs or unripe berries are removed, and that the berries are cooked sufficiently to eliminate the toxin that is found in the seeds. Even when elderberries are dried before cooking and the syrup is strained, it is possible for this toxin to produce complications if the syrup is not cooked sufficiently. Remember, the purpose of an extract is to extract the active constituents from the herbs; this includes toxins. In one example, individuals consuming elderberry juice were hospitalized due to the remains of this toxin in the juice (MMWR, 1984). Combine the berries and water in a large (cold) saucepot. If time permits, allow the berries to soak until they are soft, about 30 – 60 minutes. Place over medium heat and gradually bring to a boil. Once a rolling boil has been reached, reduce heat to a simmer and continue to cook for 30-45 minutes, stirring frequently. Do not cover the pot during this phase. This process cannot be shortened as it is crucial for eliminating the cyanide-like toxin in the seeds. Remove from heat and cool to room temperature. Strain the concentrated extract and measure the liquid. It should be approximately 2 cups. * (If you have less than 2 cups, water can be added to reach 2 cups. If you have more than two cups, continue boiling the mixture down. It is crucial to have a 2-cup measurement at this state to ensure accurate dosing.) Combine with the cup and a half of honey, brown rice syrup, glycerin or simple sugar solution. Bring back to a boil and continue to boil for 10-30 minutes until the mixture is thick. Allow to cool slightly and pour into prepared bottles. Store in the refrigerator. *Note: The previous version of this formula called for 1 quart of water to produce 2 cups of extract. Depending on altitude, humidity and other factors, that may not be enough to cook for the required duration without burning the berries. Adjust the initial water measurement as needed to ensure that the final result is 2 cups of extract per 100g berries after having been cooked for 30-45 minutes and thoroughly strained.